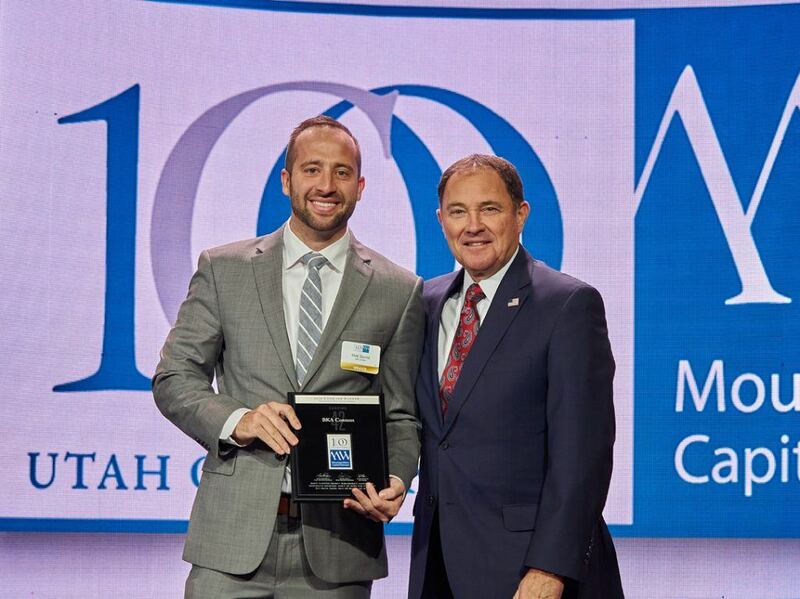 We are excited to announce that BKA Content was ranked #42 on the MWCN Utah 100 list of fastest-growing companies in the state! MountainWest Capital Network put on a beautiful banquet in the Grand America Hotel Ballroom in Salt Lake City, Utah to honor all of the companies that were nominated. It was an amazing feeling to be in that room and rub shoulders with so many other entrepreneurs and seasoned business leaders who have sacrificed and risked so much to make their businesses a success. Receiving the award was a huge honor, and we were so grateful to have all of our amazing staff there to be recognized. Utah Governor Gary R. Herbert also attended to personally congratulate each company and thank them for the contributions that they make to Utah’s economy. Last year when we were nominated for the first time, we had a real sense of accomplishment when looking at BKA Content from its very beginning up to that point in time. It was so exciting to get together as a team (since most of us worked virtually at the time) and realize that all our hard work was really paying off and that we were making a difference. Having now been nominated and awarded a 2nd time, we couldn’t help but reflect on some of the huge changes and growth that BKA Content has seen over the last 12 months. In June of 2016, we rented some new office space in South Ogden, Utah. This new office gave us much-needed space for our new team members, trainings, company culture and quarterly strategic meetings. It also provides a creative environment for our executives to collaborate on everything from marketing to complex business planning. The new office space is a sign of growth, and that the needle of progress is moving in the right direction. What can we say? 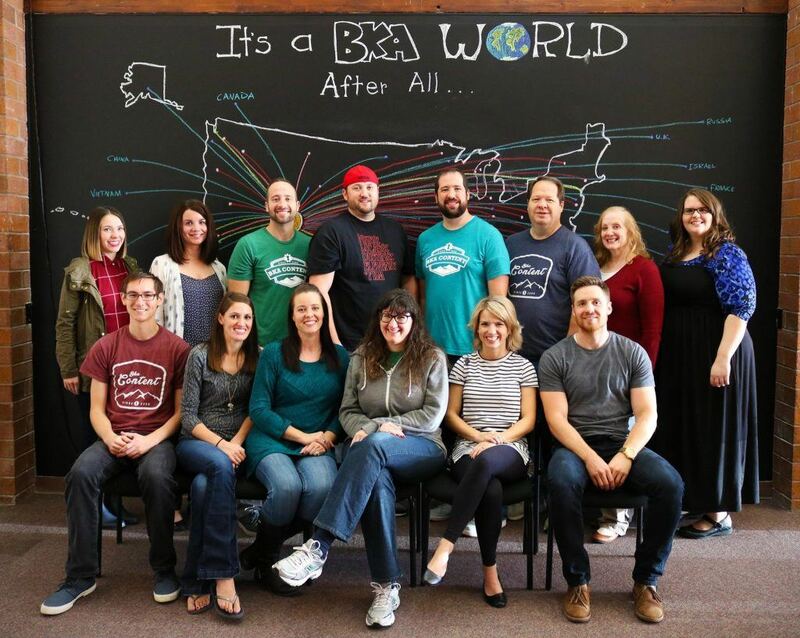 We have some pretty amazing people that work for BKA Content! It has been an absolute pleasure to work with these creative and professional people over the years, and it’s been fun to see our team grow! This year alone we have brought on several new account managers, as well as an in-house developer to continue to make BKA even better than it already is. Not only that, we are convinced that we have the best writers and editors on the planet. They are also some of the best people around. We mean that. Even though they all work virtually, we appreciate the effort into making BKA feel like a big family – and it makes us genuinely enjoy what we do each and every day. While we specialize in creating content for others, we spent a great deal of time and effort increasing our own content over the past year. 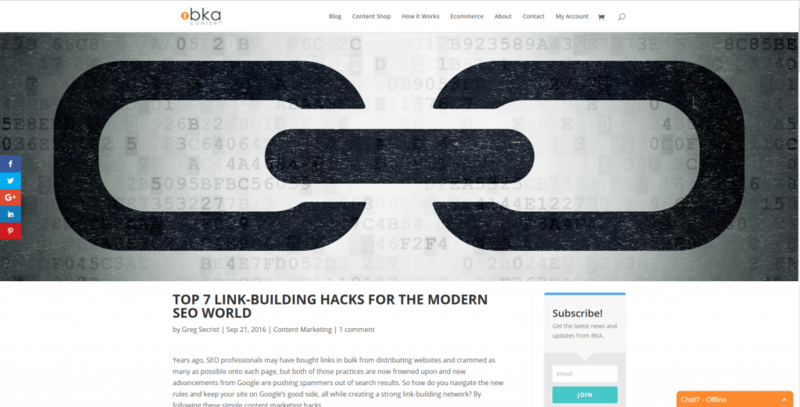 We are now consistently producing several blog posts per week that answer industry questions, give tips, and help content marketing directors create better content. Our GrammarSpot category, which provides weekly writing tips, has grown into one of our most visited categories each month with many of our posts taking the very top spot on Google. These are primarily written by some of our top writersand editors, and reflect the spirit of learning that we have embraced as a company. Our marketing team has made some fantastically fun videos that embody the company culture of BKA. Whether it’s teaching people to create “Yummy Content”, avoid “Content Belly Flops” or changing the words of a popular Christmas song to match content marketing themes, we’ve done it. Head over to our BKA Content YouTube channel to see some of the fun videos we have put out this year advertising our services. One of the last types of content we’ve put out this year is that of storytelling. Specifically, telling our own story. Ours is a pretty unique story and it centers on family. One way that we’ve told our story is by taking an interest in programs, organizations and charities that reflect the personal challenges and successes of our own people. We’ve also tried to tell a narrative through our social media and company culture that explains who we are as people and what we stand for, and also what we enjoy doing. Lastly, another way we’ve told our company story is by telling the actual story itself (imagine that)! As with any company, we have a pretty unique story and it centers on family. While this story (in its entirety) is very personal to our family, we were recently approached by a company named Stiry to share our story through a small video. Stiry.com is a company that finds and shares inspiring stories about regular people overcoming a variety of challenges and working to make a difference. They are very selective about the stories they tell to make sure if falls in line with their company vision of making the world a better place. Their mantra is to “share the good,” which is something we definitely feel passionate about so we agreed to making the video. The opportunity to share our story in an effort to hopefully uplift someone else was a humbling and unique experience. One that we are definitely grateful that we were able to experience this year. We are very proud of everyone here at BKA for the amazing growth we have seen this past year. Our company’s success has definitely been a team effort and it’s so satisfying to see the effort pay off and to be recognized for it. We hope everyone on our team will feel a deep sense of satisfaction from this award and will use it as motivation to keep up the great work moving forward!